Mainframe technology providers are refusing to be left in the dust in a digital modern world where speed is everything, and everything is moving to the cloud. While a majority of the industry views mainframes as legacy, dated, old or irrelevant technology, many companies and initiatives are turning their focus to modernizing the mainframe. “Digitization and mobility are placing incredible pressure on both IT and mainframes to manage a greater volume, variety, and velocity of transactions and data, with workloads becoming more volatile and unpredictable,” said Bill Miller, president of ZSolutions at BMC. BMC recently released its 2018 mainframe report, which found 82 percent of respondents are using Java in their mainframe environments, and 48 percent are practicing Agile and DevOps in the mainframe. “DevOps teams can only move as fast as their slowest digital asset. As such, precious mainframe code and data must continue to leverage the platform’s inherent strengths and quality requirements while keeping pace with the need for speed in innovation,” said Chris O’Malley, CEO of mainframe software solution provider Compuware. In addition, the report found top priorities for organizations include application availability, modernization, cost reduction, data privacy and security. The mainframe’s strengths lies in its ability to provide security, stability, availability and scalability to core parts of our society such as banking, transportation, healthcare, finance and insurance, according John Mertic, director of program management for the Open Mainframe Project at the Linux Foundation. “For companies all over the world, the power of the mainframe is critical to the success of their enterprise transformations. As they transform toward cloud deployment models, many rely on the traditional strengths of the mainframe to maintain secure, reliable, and scalable computing. And for good reason. 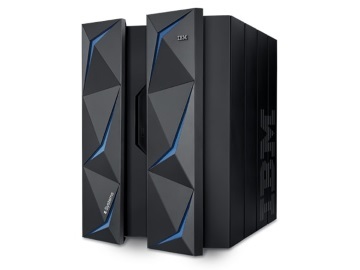 For example, nearly 80 percent of all enterprise data is managed on the mainframe,” IBM’s GM for GTS infrastructure Phil Guido and GM of mainframe systems Greg Lotko, wrote in a blog. The Linux Foundation launched the Open Mainframe Project in 2015 as a way to increase collaboration across the mainframe community. Its main focus has been to deploy and use Linux and open-source technologies within a mainframe computing environment. Recently, the foundation announced a new open-source software framework designed to bridge the divide between modern apps and the mainframe. Zowe (pronounced Zow-wee) enables users to securely manage, control, script and develop on the mainframe similarly to how they would on a cloud platform, and is based on z/OS, an operating system for IBM mainframes. Companies like Compuware, CA Technologies, and BMC Software also have begun developing new tools and technologies that enable mainframe to work in modern software environments such as DevOps and Agile. Compuware’s mainframe DevOps solution Topaz is designed to get modern developers and testers up to speed with mainframe technology quickly. The company also offers a artificial intelligence and machine learning solution called zAdviser for modern mainframe leaders to track, measure and improve development velocity, quality and efficiency, according to Compuware. Over the last year, CA Technologies announced new collaborations and partnerships with IBM to bring mainframes to the modern era. As part of the partnership, the companies announced the enterprise DevOps solution Brightside, which is designed to bring DevOps toolchains and frameworks to the mainframe. Other solutions the companies are working on include CA Service Virtualization, CA Mainframe Operational Intelligence, and CA Data Content Discovery to the zCloud services as well as the CA Mainframe Resource Intelligence solution. BMC recently announced automated mainframe intelligence solutions for providing machine learning, practice analytics and intelligent automation mainframes as a way to help enterprises automatically manage, diagnose, heal, secure and optimize their mainframe processes. In addition, mainframe technology itself has continued to evolve over the years to take advantage of the latest computer resources available. According to Compuware’s O’Malley, IBM dominates the mainframe space, and is continuously releasing new hardware advancements with each new model as well as making updates to software tools such as COBOL, Db2, z/OS and Linux. The Open Mainframe Project explained that it is solely focused on IBM hardware, which it says is more than 95 percent of the market. IBM has been producing mainframes since 1952. The company’s latest version is z14, which according to Ken Harper, director at mainframe outsourcer Ensono, is significant because it is built around functions like pervasive encryption, enabling users to encrypt data at the database. Harper adds that today’s mainframes also provide more memory and uses less space, less facilities, less heat, and less air than its predecessors. “While other forms of computing are used extensively in business in various capacities, the mainframe occupies a coveted place in today’s e-business environment. In banking, finance, health care, insurance, utilities, government, and a multitude of other public and private enterprises, the mainframe computer continues to be the foundation of modern business,” IBM wrote on its website. While the mainframe itself may not be dead, it is in danger of dying if we don’t empower the next-generation of developers to take on the skills necessary to keep the mainframe alive, according to the Open Mainframe Project’s Mertic. “The challenge with the ecosystem has been around how do we foster that next generation. When this project came to us, that was the biggest question there. There was no question about the importance of the technology or the capabilities of the technology. The question was how do we ensure another 50 years of mainframe and how do we get the next group involved,” he said. The 2018 BMC Mainframe report recently found that one of the top challenges the mainframe faces is a staffing and skills storage. According to the report, older, experienced mainframe workers are beginning to retire, and while companies are willing to train existing employees and train new talent, it is still taking time to close the gap. However the report does find that the age of people working on the mainframe is getting younger. Sixty-three percent of respondents reported being under the age of 50, which is up 10 percentage from BMC’s 2017 mainframe report. “Today’s digital economy presents complex challenges for the mainframe at a time when operational skills are pivoting to younger staff with less experience. Ongoing research is important to understand the evolving state and direction of the mainframe. Such studies can provide a valuable perspective to help mainframe organizations evaluate customer attitudes and expectations,” Tim Grieser, research vice president of enterprise system management software at IDC, said in the BMC report. The Open Mainframe Project currently provides internship and academic programs to introduce more students to the technology. “These students come out of school with some of the highest entry level jobs in IT and stable career prospects,” said Mertic. But the project is also looking to use open-source software as a path to driving more engagement. “If you want a technology to continue for generations, open source ends up being a central component there because it is taking the technology out and getting the larger world engaged with it,” said Mertic. He also explained that thanks to open-source software, the mainframe has been able to continue as a viable platform by saving on licensing sources and enabling technologies such as virtualization, cloud and containerization. Ensono has started a millennial program where the company will go out to colleges to talk about the mainframe and recruit millennials. “If you think about it, millennials grow up around technology, Internet, mobile phones, so we are finding that generational is really adaptable to understanding the technology and being able to apply it more along the lines of the business,” said Ensono’s Harper. Many companies have a cloud-first attitude when it comes to their technologies; however, Compuware’s O’Malley believes this way of thinking is skewed. “It is a very odd perspective because it should be customer first. A governmental agency is citizen first. Your platform should only be chosen for your citizens or customers, and giving them the best experience possible,” he said. O’Malley explained there doesn’t have to be a mainframe versus cloud debate. The debate should be around how you optimize these platforms in the best and right ways. “Mainframe has its digital virtues that are unique to it and excel far greater than the cloud ever could or at least for the next decade, but there are things in the cloud that the mainframe can’t do,” he said. For instance, the cloud is ideal for providing a cost-effective, shared resource environment for supporting “non-competitively differentiating workloads and applications like HR where the availability, performance and security requirements are far less stringent,” O’Malley explained. In addition, the cloud and mainframe can be used together to create the best possible outcome. The reason the mainframe excels with systems of record is because it provides businesses with a centralized, authoritative source to store and retrieve data, O’Malley explained. Businesses prefer newer technologies such as mobile, web and cloud when it comes to their systems of engagement, or systems that enable peer interaction such as emails, collaboration systems and social networking solutions because they are “designed to enable the creation and continuous improvement of digital customer experiences,” O’Malley said.